Welcome home to Minnewoc, one of Lake Country’s most stunning estates! This spectacular estate is a replica of Anne Boleyn’s castle built in 1892 and totally renovated in recent years, including a large addition in 2014. Over 800′ of pristine lake frontage and 7.2 acres including a private island. Despite the gorgeous finishes, the opulent details, smart home technology or the 16,000 sq ft, this house feels like home”. The rooms carry a level of intimate comfort while still providing for some of the finest entertaining space – inside and out! This is truly a once-in-a-lifetime opportunity! Directions: Hwy 67 to Pabst Rd. East on Pabst Rd PAST Pabst Ct. Semi-private road is on the east side of the Village Clerk. Please, send me more information on this property: MLS# 1546767 – $10,500,000 – 35308 Pabst Rd, Oconomowoc Lake, WI 53066. 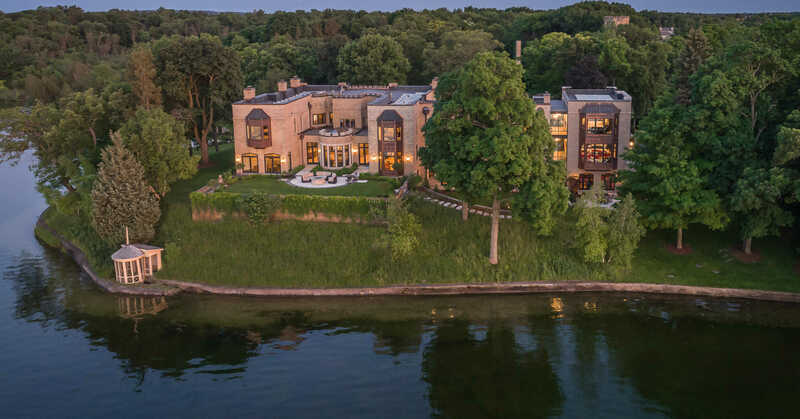 I would like to schedule a private showing for this property: MLS# 1546767 – $10,500,000 – 35308 Pabst Rd, Oconomowoc Lake, WI 53066.